As you cruise on your power yacht you will learn that long ago the Mediterranean was the center of the ancient world, the wellspring of civilization and home of the gods. The last century has seen the transformation of the idyllic region into a modern mecca for the rich and famous with the likes of Tom Cruise, Morgan Freeman, Bradley Cooper, Oprah Winfrey and Meryl Streep. Today the French Riviera has become a destination of choice for elite vacationers who can the very best including a power yacht charter vacation. These watery playgrounds have few equals; including the best cruising conditions, sophistication, a myriad of distractions and the reputation for unbridled hedonism. This land of pristine coastline paradise is among the most extravagant 100 miles of waterfront in the world with 30 harbors with more than 3,000 restaurants and shops. Make a list of places you’d like to visit while aboard your motor yacht and let your imagination run. The Cote d'Azur is lipped with beaches that lie beneath hillsides shrouded in beautiful yellow mimosa that climb inland towards the snow-capped peaks of the Alpes Maritimes. You, family and friends will have an extraordinary vacation will you go on one of our French Riviera Power Yacht Charters. The seaside resort town of Saint Tropez is still very popular with ordinary tourists, with the jet set and the in-crowd having long since left it behind. Imagine you sitting on your power yacht on the lovely blue water of the Bay of Saint-Tropez. This modern version of a medieval town is most popular for the view of power yachts along the quay, facing a line of terrace cafes, divided by a parade of strolling tourists and slow cruising expensive cars. Behind the cafes, the small streets and old buildings are picturesque, and nowadays they are more popular for the multitude of shops and restaurants than any real historical significance. There are endless options for shopping for buying gifts or keepsakes of your power yacht adventure to remind you that "you've been here". Monaco, an ancient principality steeped in a rich and colorful history, is considered by many to be Europe's most fascinating country. Though the country covers but one square mile, it stands as a proud monarchy with his Serene Highness Prince Rainier III as its head of state. Today people take their power yacht to Monaco and its glittering district Monte-Carlo not simply to vacation, not just to test their wits against lady luck, nor merely to see and be seen, but to revel in the memorable life-enhancing experience that is Monaco. When Monte Carlo came into being it was almost called Charlesville or Albertville after the heir of Prince Charles III. The fact that neither of these names stuck in the end may have been due to Prince Charles not believing this new venture would last into his son's reign. On the other hand, he may have liked the sound of Monte Carlo (Mount Charles) as it rolls off the tongue better. Whatever the reason it was most assuredly an improvement on its old name, Splugues. The Prince need not have worried because within three years of setting it up, the casino had earned enough money to ensure it's peoples' loyalty by abolishing direct taxation and military service! It is difficult to envision that in the middle of the nineteenth century Monaco was the poorest state in Europe. Nothing useful could grown on its rocky soil and it barely subsisted on selling salt and custom rights to France. Visit Monaco while on your power yacht vacation! Saint-Jean Cap Ferrat is an exceptional site and the view from the luxury yachts makes it one of the loveliest places to visit on the Mediterranean coast. The peninsula is situated next to Nice and to Villefranche sur Mer and extends out to Cap Ferrat. Its tranquility and warm climate make it a favorite holiday destination among European aristocracy and international millionaires. 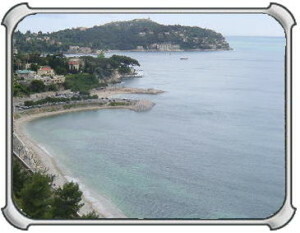 In order to better appreciate the beauty of Saint Jean Cap Ferrat, you can explore on foot by taking the coastal path. Trails are marked for about 9 miles and divided into 3 sections: the tour of Cap Ferrat, the pine-forest and the Maurice Rouvier walk which links Saint Jean Cap Ferrat to Beaulieu. At the tip of Cap Ferrat, you will find one of the most beautiful palaces in the world, the "Grand H?tel du Cap" which is set amidst a stunning garden. Saint Jean Cap Ferrat has a zoological park which houses 300 animals which live in semi-freedom amongst the Mediterranean and tropical vegetation. You will discover crocodiles, big-cats, exotic birds... aas well as others. Visitors can also wander along the port, opposite the wharf where a number of restaurants have shady terraces. 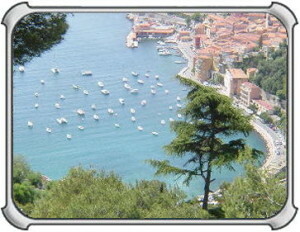 Saint Jean Cap Ferrat is also known for its luxurious properties nestled Among the lush vegetation. Discretely built and protected from prying eyes, These private estates often include a secluded beach and locked gate-ways. Everything is not always what it seems on the Cote d'Azur. Contact us for more information or to check for wonderful private yacht availability. San Remo is port to some of the world’s most fashionable clubs and casinos which is where you can see high society having fun and docking their luxury yachts. Spoil yourself and you family, open your eyes and explore your playground for the rich and famous. The esplanade in San Remo is studded with restaurants leading onto the sun soaked beach. Boutiques and prestige hotels line the Palm fringed esplanade which is the carriage way to Genoa, Portofino and to the South of France. Age old high rise living in buildings painted in dusky shades of peach, soft powder blue, rose and lemon that are protected by slender cream shutters. 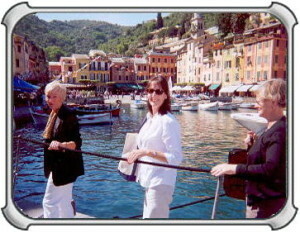 Sunny sophisticated San Remo is a must do "stop over not far from Menton. As part of your power yacht experience we suggest that if you are after an exquisite and a personally family run restaurant for the evening, then Paula and Barbara is in a class of its own. Click to view a selection of San Remo Motor Yachts for charter. Antibes was a Greek fortified town named Antipolis in the 5th century BC, and later a Roman town, and always an active port for trading along the Mediterranean even hosting what even then were luxury yachts! Today it's an attractive and active town, popular with "foreigners" from Paris and the north of France, with non-French, and with the local population. Explore Antibes on your own luxurious private motor yacht staffed with a professional crew that offers world class service and exquisite cuisine. Antibes is located between Nice and Cannes and is a favorite Coté d'Azur city for those seeking tranquility and an unspoiled atmosphere. It's really worth taking the time to visit, especially if have chartered a private yacht! Contact us on 800-478-2029 for more information on booking a power yacht charter in this or any surrounding areas. We specialize in private, fully crewed chartered yachts for stunning vacations. From Garavan, just next to the Italian border right to Carnol’s, the western limit of the community where there is a large variety of sun-drenched beaches. From sandy to pebbled and including public and private that you can choose to visit. On the western coast, the construction of the sea walls have given the sea front a new volume. Nowadays the public beaches extend almost 100 feet to accommodate for swimmers and sun-bathers alike. 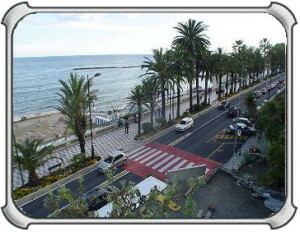 The Menton beaches are cleaned and disinfected daily in summer and are equipped with showers. Two beaches have been specifically reserved for dogs and their owners. The underground purifying station, state of the art high technology, guarantees the quality of the water for swimmers. Menton is not a big city (30,000 inhabitants) and one can easily get around on foot after your power yacht has been docked. 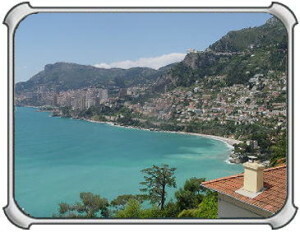 Nice-Cote d'Azur Airport is approximately a half an hour from Menton by the motorway. Nice-Cote d'Azur Airport has direct flights or connections to most of the major cities in the world. Feel free to contact us for more information on yacht charters in the Cote D Azur. To charter private luxury power boats is to enjoy the best that life has to offer and to strive beyond what we dream as ordinary . Under sunny blue skies, the port of Nice is located at the heart of the Old Town at the eastern end of the Promenade des Anglais, at the foot of Castle Rock and just 10 minutes from Nice Cote d'Azur International Airport, the second largest French airport after Paris. Surrounded by Genoese-style old pink and yellow ocher buildings, the port is at the center of the "quartier des Antiquaires" (Antique Dealers District) a short stroll from the famous flower and Provencal markets, the street cafes of the Cours Saleya and the beaches of the Baie des Anges. Many culinary specialties (Ni?ois, Proven?al and international) can be savored in the multitude of restaurants. 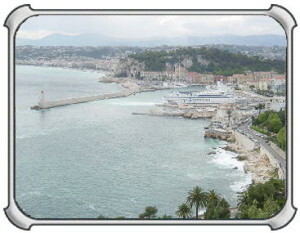 The capital of the French Riviera, Nice offers 300 hotels, 17 of which are 4 star. 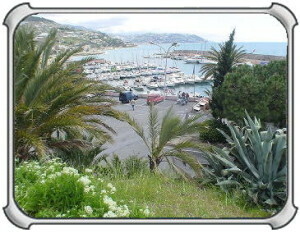 Motor yachts in Nice available for charter vacations. More than 100 years ago, during the summer the wealthy Mediterranean merchants hired private yachts to enjoy Cannes, Nice, St-Tropez, Monaco, Genoa, Antibes and Monte Carlo. This is the birth place of power yacht cruising as we know it today. 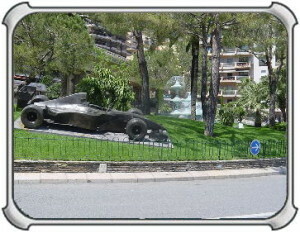 Cannes is also famous for its annual film festival. 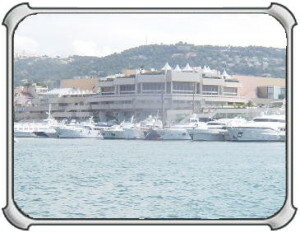 If you need information on how to charter motor yachts for the Cannes film festival please contact us. Along Italy's northern coast lies enchanting Portofino, picturesquely situated in a narrow cove at the southeastern tip of the promontory of the same name. The tiny port owes its popularity to its beautiful setting, agreeable climate,lush vegetation and can handle docking for even mega yachts. This "Pearl of the Mediterranean" has long been known as an exclusive gathering place for the wealthy, artists and actors. In 1935 the city government of nearby Genoa declared Portofino a national monument so architecture has changed very little in the past 60 years as alterations must receive approval. 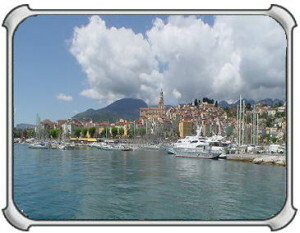 Visitors will enjoy the unique ambiance, chic boutiques and quaint cafes that overlook the small yacht harbor. Others explore the surrounding coastline, where tiny villages are tucked away in hidden coves. If your tastes run more toward the clamor of big city life, bustling Genoa is only a short drive away. However, don't miss out on most everyone's favorite pastime - people-watching while leisurely sitting in one of the outdoor cafés or on your own private yacht.